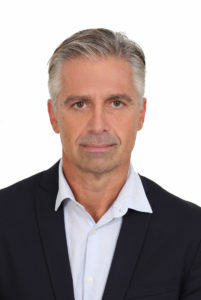 Stergios Mavromatis is an Assistant Professor at the Department of Transportation Planning and Engineering of the School of Civil Engineering at the National Technical University of Athens (NTUA). He holds a Diploma in Rural and Surveying Engineering from NTUA, and a PhD in Road Geometric and Operational Design from the School of Rural and Surveying Engineering at NTUA. He is actively involved for over 28 years in the design of transportation projects from various duty positions, such as academic, technical consultant, road projects design coordinator, head of transportation design teams and final design stage engineer. His specialisation areas among others cover safety assessment through road – vehicle interaction on 3-dimensional road surface and intelligent transportation systems. He has participated in more than 30 research and engineering projects and designs of the primary road network in both Greece and Europe and has published more than 80 scientific papers (20 in scientific journals), with many citations. He serves as a reviewer in a large number of journals and conferences (e.g. TRR, ASCE-Journal of Transportation Systems, ETRR, KSCE, Transportation Letters, ATS, TRB, RSS) and is a member of international organisations and committees (TRB-AFB10, ERF- Road Markings and Signs, ERF- Road Restraint Systems).